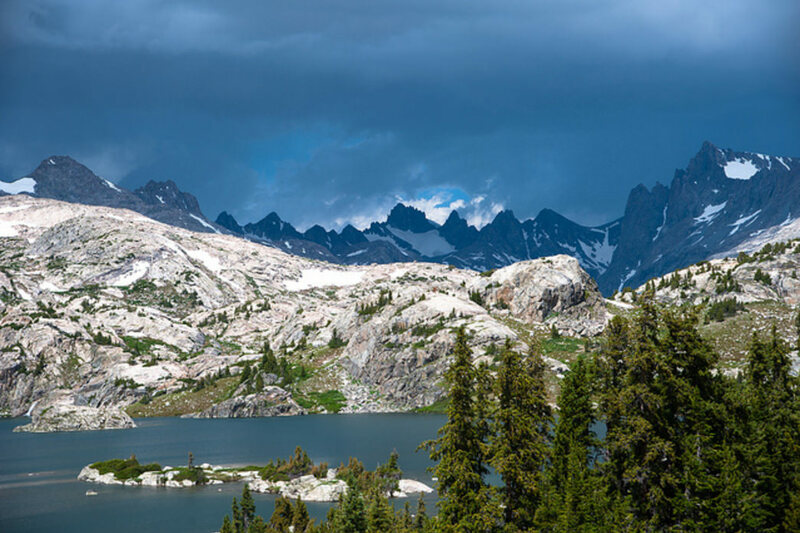 With craggy granite peaks, colorful fall leaves, and high alpine lakes, what's not to love about the Wind River Range? The Winds, as they're known, are packed with of epic, life-list backpacking trips, and parts of the range are just a couple hours from Jackson. And fall is the best time to go for one simple reason: The mosquitoes are scarce to non-existent. During the summer, this lake-dotted wilderness breeds an overwhelming population of the little pests. But by fall, they're mostly gone, allowing backpackers to enjoy their time outside without swatting every second. 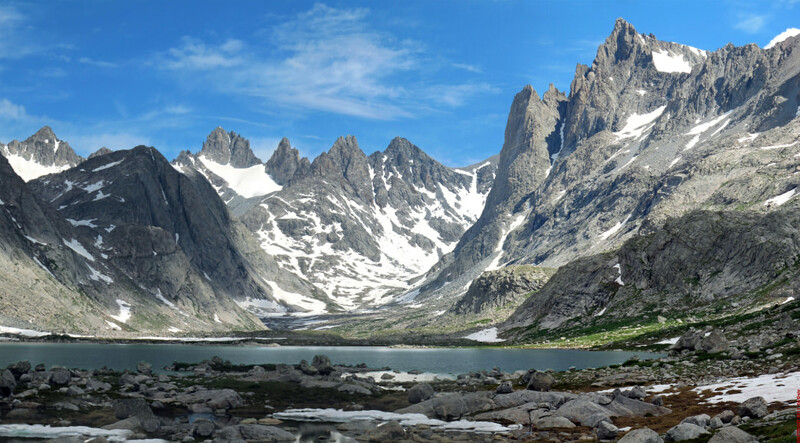 The range also is home to 13,804-foot Gannett Peak, the tallest mountain in the state, which is best seen from the Titcomb Basin hike below. Skilled climbers ascend the peak each season, but you don't have to be a mountaineer to enjoy this range: This is the land of backpacking. Sure, you'll find a few great day hikes, but strapping on your pack and heading out for several days is the best way to truly immerse yourself in the high country. Take advantage of a clear, cool fall weekend to get deep into the wilderness with our recommendations for great backpacking trips in the Wind River Range. Grab a warm sleeping bag, double check the weather, and keep in mind that fall is hunting season, so grabbing some blaze orange to wear isn't a bad idea (and don't forget blaze orange for your pups, too!). The trailheads for these hikes are 2-to-3 ½ hours' drive from Jackson, but they're worth every minute behind the wheel. The shortest hike on our list, Lake Louise makes a great day hike or overnight backpack. 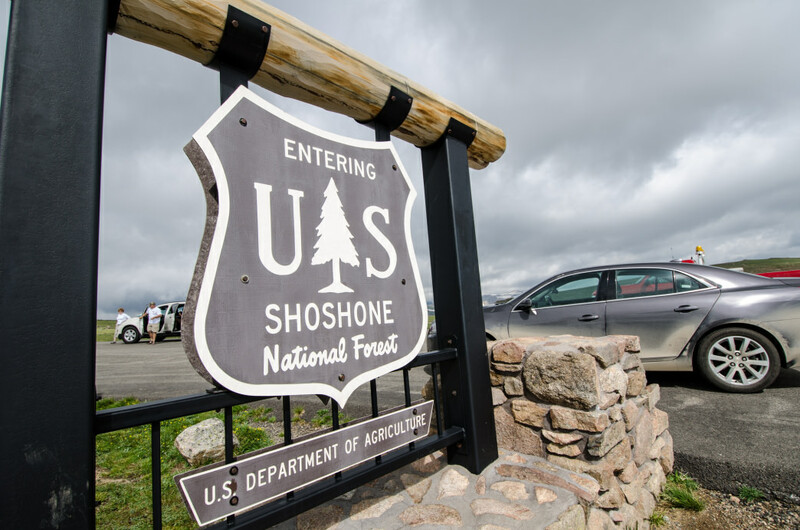 The trail begins just 15 miles from the town of Dubois in the Shoshone National Forest . It should take 2-2 ½ hours to reach the trailhead from Jackson. Once you're there, the 4.4-mile roundtrip hike begins in dry, desert-like terrain before quickly ascending into a land of granite. You'll climb 1,000 feet or so during your hike, with high peaks, cliffs, and granite slabs all around. Toward the lake, you'll walk on wavy slabs of granite and have a few steep switchbacks on your way to the alpine lake. 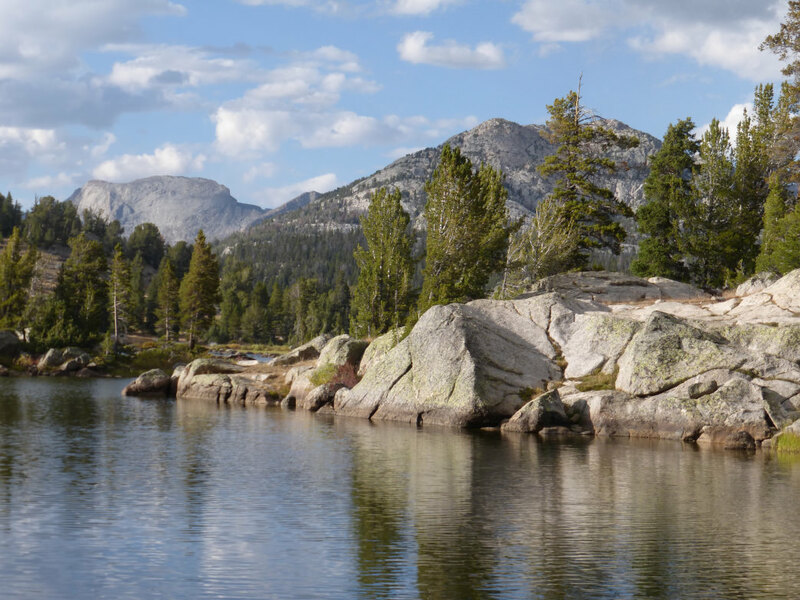 The lake is at 8,600 feet in elevation and offers some great fishing, too, so be sure to bring your gear. If you only have time to go on one backpacking trip in the Winds, make it this one: It's a classic for a reason. It will take you some time to travel the 30 miles roundtrip this backpack requires, but it's worth every step. With the distance in mind, it's best to plan this as a three- or four-night trip at a minimum. 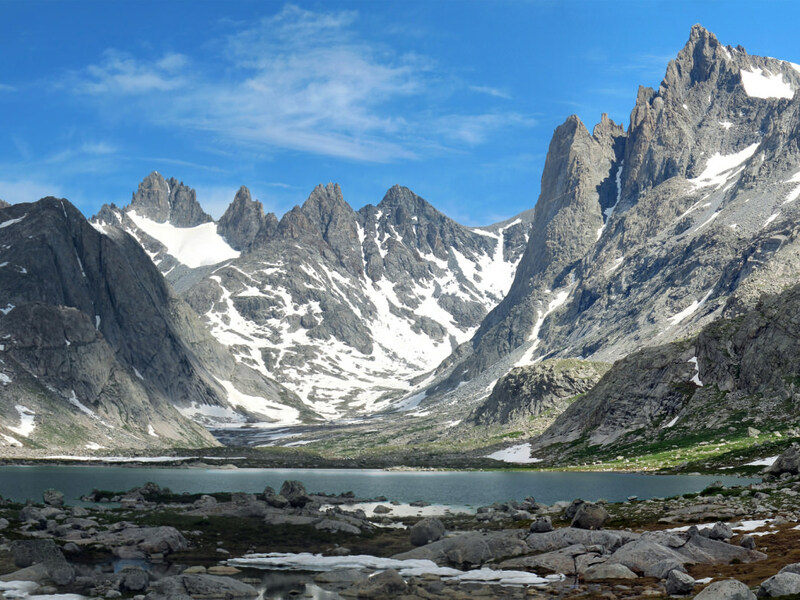 Located deep in the range, Titcomb Basin features a series of alpine lakes and boulder fields surrounded by high peaks about 3,000 feet above the water. This is where you'll find the state's highpoint, Gannett Peak, which is considered by many to be the fourth most difficult state highpoint to reach. If you're planning on taking two days on the way in, consider camping near Hobbs Lake, Seneca Lake, or one of the other lakes you'll find for your first night. Start this trip from the Elkhart Park Trailhead, which is about 15 miles from Pinedale and two hours from Jackson. Prepare to be dazzled on an overnighter to Dad's Lake: a pristine alpine lake full of fish and surrounded by jagged peaks. You'll head out from the Big Sandy Trailhead, which is about 3½ hours from Jackson. The hike to Dad's Lake is only six miles each way, so you can do this as a day hike or an overnighter. You'll find great camping spots along the lakeshore. 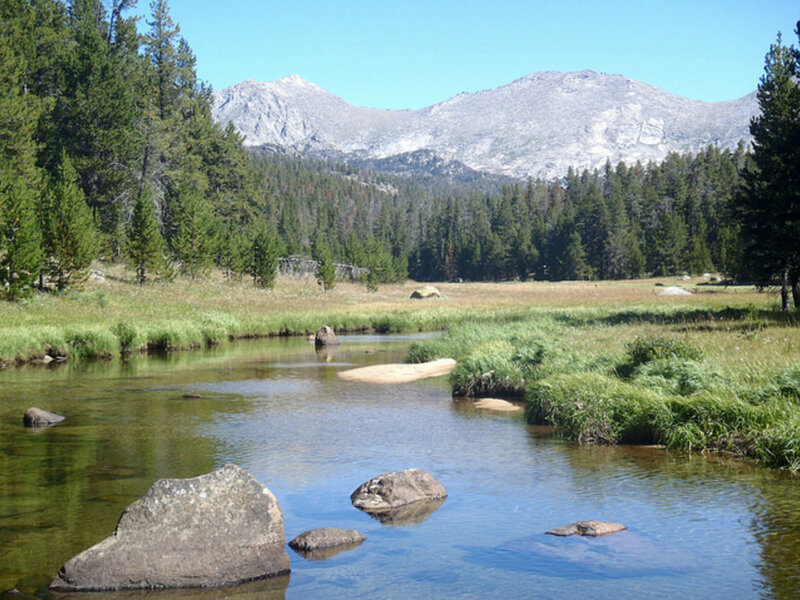 Since the trek to get there is only six miles each way, you'll also have plenty of time to pull out the pole and see if you can catch a fish or two. For a relatively mellow trip, head out to Big Sandy Lake, which is a 12-mile roundtrip from the Big Sandy Trailhead (which is about 3½ hours from Jackson). Much of this trail parallels the Big Sandy River, which offers a great place to stop and see if the fish are biting. You'll find many meadows along this route and plenty of spots to camp near the lake. If you're looking for an extra challenge, consider heading up Jackass Pass, which will take you to 10,800 feet, for a peak at the stunning Cirque of the Towers. If you don't have the time to head all the way to Titcomb Basin, make your way to Seneca Lake, which is about nine miles from the Elkhart Park Trailhead. This trailhead is about 15 miles from Pinedale, and it should take you about two hours to get there from Jackson. The first few miles are through a lodgepole forest, then you'll head into a few meadows that open up to great views. Next, you'll reach the aptly named Photographer's Point, which offers an epic view of the range. Continue on to Seneca Lake and find a spot to pitch your tent—the views are spectacular.